Episode 3 is finally upon us! This maintenance will occur nine hours earlier than usual. Be sure to enter the secret phrase みんなおめたろう from the livestream before maintenance for your Dudu items! These items will be distributed after an unspecified maintenance. 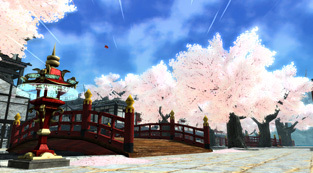 Players were dissatisfied with the process of making the ring fields, and the character movement speed in Phantasy Star Nova. They plan to improve upon these features in the future. Added a new class, Bouncer. Added new skill to each class. An [All Skill Tree Reset Pass] was distributed in accordance with this update. Added new photon arts for Dual Blades and Jet Boots. The level cap for Timed Ability installations has risen to 40. New Craft Recipes and Achievements were added. Equipment Extensions are available to Dual Blades and Jet Boots. Added a new planet, ハルコタン Halcotan. Added an assortment of new enemies for Planet Halcotan. Increased the rewards of Klotho’s Time Attack Client Orders. Added new Client Orders unrelated to Time Attack Quests. Daily Order rewards will increase to provide another means of acquiring lots of meseta outside of Time Attack Quests. Some Daily Orders on ‘Normal Difficulty’ will have increased EXP and Meseta rewards. Added new client order NPCs. A different free-field is chosen each day, available to everyone even if they haven’t unlocked it yet. Upon starting the quest, a list of related client orders will be available for selection. Some Daily Orders will apply a “Daily Boost” as a reward, this applies a similar effect to that of a Triboost. Added partner cards for Matoi, Saga, and Katori. These quests are available until October 8th. Hunter class skill “Absorption” will now display the amount of HP recovered. Super Treatment will no longer display its effect in decimal point notation; the effect will remain exactly the same. Wand Lovers can now be turned ON/OFF. Class skill descriptions will clearly specify what triggers a specific skill. In addition, it will clearly indicate whether a skill requires a main class. Animation effects for these photon arts and technics have been adjusted, since they were deemed too bright or overbearing. These effects will appear less intense to players when others activate them nearby. The effect that displays when an attack hits an enemy. The effect that displays when an attack hits the elemental weakness. In regards to Shifta and Deband, when the duration of the effect is extended by anyone using the same technic, the system has changed to let it extend the effect rather than override the more powerful one. Some partner characters now have subclasses. Added technics and photon arts for the support partner to use. Theodore’s class setup has changed to Techer as his main class, and Force as his subclass. TIPS will display whenever a player becomes incapacitated by Persona. TIPS will display whenever a player becomes incapacitated by Biol Meduna during the [Seabed Shivers] story quest. Relaxed the unlocking conditions or each field. Party Bonus effects have risen to a maximum of +40% EXP when you form a party with other players. The system has changed to let you advance towards the new route if you haven’t cleared the diverging route in [The Long Awaited Tomorrow] story quest. Level 70 enemies can appear when players are abducted during Super Hard Time Attack quests. Area 1 for existing Emergency Quests have turned into Multi-Party Areas. [The Oncoming Abyss] and [Urban Mop-Up Operation] have merged into a new [Urban Recovery] Emergency Quest. [The Oncoming Abyss] and [Urban Mop-Up Operation] will no longer appear in the future. New Partner Characters will appear in Emergency Trials. Henrietta has been added as a new Operator during Emergency Trials and such. PSE Omens are now easier to understand. The frequency in which they appear has been adjusted. The design of the Catapult’s jump trajectory line is now thinner. Client Order unlocking conditions have changed to match the order in which the fields and planets are unlocked. The achievement conditions for some Client and Daily Orders have changed. Some Daily Orders have been discontinued. Koffee’s [Level Cap Trial II] client order will now increase the level cap to 70. The unlocking conditions for Afin’s Client Orders [Setting Photon Arts?] [How do you Set Technics?] has changed. Franka, Hans, Kressida, and Revelle’s client orders are now grouped in a sequential order. The text for some client orders has changed due to the adjustments made with this update. Clearing Koffee’s [Free Exploration: Forest] client order will now unlock Daily Orders. All team orders will have a specific enemy as its target and EXP rewards. Featured Quests have been added to the Quest Counter. Emergency Quests will appear in the top position in the Quest Type menu. The icon designs for solo, single, and multi-party quests have changed. A guide icon will now display in the recommended area, for client orders that apply to all areas. Forces a rare enemy to spawn in Area 1. Rare Enemy Triggers can be obtained from the Casino area. Changed some of the rewards you can acquire from the Matter Board. Each Matter Board is categorized into episodes. Added a “Start” point on the Matter Board. As you clear nodes, your progress is displayed as a light connecting each node. “Item Matter” nodes are unlocked, all the way up until the next “Event Matter” node. Matterboard items no longer disappear from the field after inspecting an event tablet. Event Tablet matter board nodes can be cleared on the spot without having to return to the city. Players may acquire Team Orders after waiting 24 hours upon joining or creating a Team. Regular members and visitors can now inspect the contents of the [Team/Team Room] features at the Team Counter. Changed the sorting order of the entries at the Team Counter to make Team Orders easier to use. Fighter, Gunner, and Techer are available from the start at the Class Counter. New ‘My Set’ entry was added to the Class Counter to make it easy to access preset equipment while switching classes. A 4th Accessory Slot was added. Team Accessories will now use the 4th slot. A new face type variation was added. You can now adjust the placement of accessories. Costumes will no longer come off when editing your character’s proportions. The word “blend” was removed from the body and face morphing entries from the Makeover counter. It will now say [Height/Body Morphing] and [Face Morphing] instead. The Arks Lobby was given a complete makeover! Made the animations more intense when Emergency Quests are announced in the Gate Area. Added a lobby map that displays the location of characters and party members in the lobby. Due to these changes, the number of shop staff and officials that appear in the lobby has changed. Added potentials to some existing weapons. [Enraged Stance] and [Spirit Radiance] effects have improved. [Physical Defense Stance] and [Technique Defense Stance] will now occur regularly instead of having a set chance to trigger the effect. The effect will now boost its rate of effectiveness based on the potential’s level. [Crest of Carnage] and [Last Stand] has switched over from boosting S-ATK and R-ATK, to boosting damage instead. These changes allow it to boost Tech damage as well. [Raising Trap Expert] effects had to be changed because Traps are no longer used as items after this update. Instead, it will reduce the cooldown times for trap-type skills. In addition, the name of the potential has changed to [Expert Trap Master]. “30 Day Casino Coin Cap Unlock” has been added to the AC Shop. “90 Day Casino Coin Cap Unlock” has been added to the AC Shop. This item removes the restriction on the amount of Casino Coins you can carry with you when you depart for a quest. [90 Day Order Cap Expansion] items are now 900 AC. The Crafting Shop, Fun Shop, and My Room Shop content has been updated. The Pyroxene Shop has been split into two shops with two names. The [Spellstone Exchange Shop] is staffed by a new NPC. Episode 3 “Box Art” is used as the main background. It will now display the download progression rate, and the time to complete the update. The File Checker is now faster. In the PC version, adjusted the transparency of the background to make TIPS easier to read on the loading screen. In the PC version, the chat window will display how to switch tabs in the chat window. Weapons will be equipped to all the main palettes when you create a new character. TIPS will display during incapacitation when certain enemies are nearby. The Area Map will display members from other parties. When the game starts, they removed the event that guides you through the location of the Quest Counter, and changed it to guide you through the Arks Road instead. New players will default to displaying the zoomed out radar map on the top right side. The Login Stamp will display a Present Box icon for the reward item spaces. Lobby Actions are now grouped by type in the Quick Menu. The Chat Log speech tabs are all numbered. HP and PP bars can be selected for the character overhead display. The game will save the cursor position for the Medical Center, Photon Drink, and the Weapon Appraisal Shop until the game is closed. An alert for unclaimed title rewards will display when returning to the lobby from a quest. Scratch content can be previewed within the Scratch content list and the My Shop interface. Extreme Pass icons have changed. View events yet to be unlocked from Episode 1 & 2 in the Event Chronicle. Characters will no longer take off their clothes when editing the body within Character Creation as well as the Beauty Salon. Order items are now sorted by client by default. Episode 3’s credits have been updated. Up to two Set Bonus effects can be activated based on the combination of weapons and units. Example: The Vento Set mixed with the Amei Set. The following weapons will acquire Set Bonus Effects with the Luther unit series. The game will remember the cursor positions for the Tekker Shop as well as the Medical Center until the game is closed. Since Traps were turned into Skills, the shop counters will no longer sell trap items. Adjusted the balance and skill tree arrangements of each class. Two Photon Arts and Three Technics were nerfed. 105 PAs and 28 Technics were buffed. You can now lock-onto Rock Bear and Rogbelt’s head. Reduced the difficulty of some the areas in the “Things Entrusted to Dragons” story quest. Free-Field Forest, Caves, and Desert quests will have less ground traps and floating bombs. Improved some of the effects for the Photon Tree. Improved some Daily Order rewards. Extended the timeframe in which Klotho’s client order may be repeated, and increased the rewards. Adjusted the item drop rate for 4 ~ 6★ items in Extreme Quests. Less crystals will appear at the same time in the [Code: Protection] Emergency Trial. In addition, they also reduced the range the crystals spawn. Apos Dorios Annihilation Rate has increased to 300%! Improved the values of the stat increasing skills. Added [DEX UP 1] to Hunter, Fighter, Force, and Techer skill trees. Added [HP UP 1] to the Force skill tree. ※1 Rotation speed improved when charged. ※1 Adjusted the timing to make it easier to do Just Attacks. ※2 Rotation speed improved when charged. ※3 Some invincibility when grabbing the enemy. ※5 Changed it from a launching effect to a downing effect. ※1 Reduced the Hit-Stop frames. ※2 Adjusted the power while increasing the animation speed; a buff overall. ※2 Some Hit-Stop frames reduced. ※3 Adjusted the power while increasing the animation speed; a buff overall. ※3 Cannot be interrupted by the enemy’s shield. ※1 Continuously spin in the air. ※1 Quicker cancellations when spinning. ※2 Increased elevation speed. Enemy homing distance improved. ※3 Increased attack generation speed. ※4 Increased attack generation speed. Improved gear accumulation. ※5 Enemy homing distance improved. ※1: Gear Power, Gear Filling Rate, and Attack Range increased. ※2: Adjusted the power while increasing the animation speed. ※2: Gear accumulation rate increased. ※3: Gear accumulation rate increased. ※4: Step cancellations available after the attack. ※4: Gear accumulation rate increased. ※5: Stun effect added. Homing ability improved. ※5: Gear accumulation rate increased. ※6: Shortened the charge times. Gear accumulation rate increased. ※1 Invincibility time frame added. ※4 Fist barrage range increased. ※5 Removed restrictions on mobility at the beginning of the charge. ※1 Upper attack range increased. ※3 Earlier cancellations when uncharged. ※1 Preparation speed increased. Attack rotation speed increased. ※2 Shortened the motion when charging starts. ※1 Changed it to hit from above. ※1 Normal Attack speed increases on the ground. ※1 Changed the effect to Stun. ※2 Earlier cancellations, shorter charge times. ※1 In addition to normal attacks, tech explosion power has increased. Changed it to make tech explosion power rise by Just Attacks. ※1：Just Attacks become easier to connect. ※1 : Status afflicting rate increase! Adjusted the effect’s values by level. Activation rate is 100% at all levels. Damage reduction rate increases by level. Nerfed: 120% Max Striking Power. Nerfed: 105% Max Striking Power/Ranged Power. No reduction in Striking and Range Power at Level 10. Front Power 125% at Level 10. Rear Power 100% at Level 10. Rear Power 135％ at level 10. Front Power 100% at Level 10. 25% Max. Adjusted the effect’s values by level. Adjusted the values accompanying this change. Adjusted the values of the effect by level. No longer requires an item. The grenade’s trajectory and speed makes it easier to hit enemies. Recast: 30 seconds at Level 10. Even if this effect gets overwritten, the higher level skill will take preference. Boosted its attack power, firing distance and speed, as well as the Gear Gauge filling rate, when Katana Gear has activated. 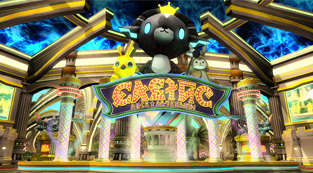 Register a new SEGA ID and start playing PSO2 to receive starter prizes! August 27th until September 24th’s maintenance. ※SEGA IDs created prior to the start of this campaign do not qualify for the prizes. Logging in without creating a character will not qualify you for the prizes. The campaign specifically targets new registrations for PSO2, not PSO2es. Create a new character during the campaign period and reach certain levels to receive prizes! ※Characters created prior to the campaign period do not qualify for the prizes. Complete specific client orders for Hans and Saga during the campaign period to earn some prizes! August 27th until September 3rd’s maintenance. September 10th at the Visiphone after maintenance. August 27th until September 17th’s maintenance. Mid-October at the Visiphone in PSO2 and the PSO2es mailbox. 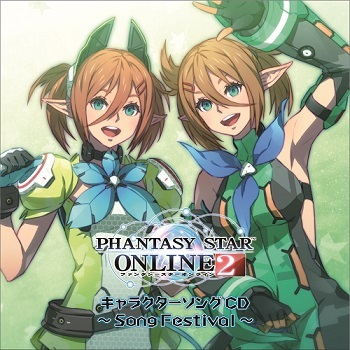 To celebrate the Episode 3 update, PSO2es is holding three campaigns! Earn one Rappy Medal each day you log in from August 27th @ 0:00 JST ~ September 2nd @ 23:59 JST. Logging in every day during the campaign period will earn you three Rappy Medals on the final day, bringing your total to nine. Earn x1.5 EXP in Arks Quests from August 27th until September 3rd’s maintenance. Purchase certain amounts of AC or iAC from August 27th until September 3rd’s maintenance to receive Rappy Medals. (1) Purchase 1000 AC or iAC to receive 3 Rappy Medals. (2) Purchase 3000 AC or iAC to receive 10 Rappy Medals. (3) Purchase 5000 AC or iAC to receive 20 Rappy Medals. The Rappy Medals will be distributed in mid-September. Where I enter the “secret phrase”? or is a special quest? Just say it in the game’s chat. only that? i already did three times, is done? Do we do this before or after the patch? Yeah it says its starting 9 hours earlier then usual. I was really worried, is all of the pre 27th patch downloaded without using VPN( Download without VPN, but later update while connected to VPN.). Will be really working to shortened this update downloading from 4GB to 1 GB? Dude,you can patch without using vpn though. Yea, you can’t since the game itself is over 8gb and probably near 15gb with this update. So it’s best to get a 32GB vita memory card. The update compresses everything to 8GBs of space afterwards, so a 16GB card should be OK after this. Is it downloadable via PC already too? Wooooooo! 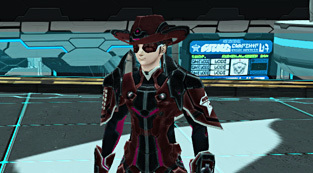 This is the biggest thing to ever happen to PSO2! It really isn’t though. Once the novelty of Bouncer and Harukotan wear off, the game is exactly where it was before Episode 3. Pretty sure everyone will be playing Casino Star Online 2 after that. Well in regards to casino, you get a casino pass every day (midnight JST) and it ill give you 100 casino tokens, pretty similar to Psu voloyal casino ^^b And as for the novelty of this update wearing off..idk.. theres literally so much new stuff being added its gonna take me a week just to nick the tip of the iceberg >< All my chars are gonna get put through the makeover haha^^ 4th accesory slot, adjusting size and placement of accesoruies… this is great stuff (for a person that spends at least 20mil a week on hair/accesories/etc) being able to see things in shops before we buy, the tacos changes! TACOS! new tacos, oh geez. *nerdgasm* Been waiting for someone to plug life into poor pso2 lol. And this update should do the trick, not to mention this is just the START! There's tons of new things, liek ultimate mode…new stuff. All good. I hope servers arent throttled too badly after main ends lol! Try reading the last news post. It pretty blatantly tells you how the Casino functions. Just with faster move speed, rebalanced PAs across the board. Less bloated skill trees for more flexible builds. Benefits for playing a pure tank or support role. Rebalanced client orders. To me actually, It’ll remain since I’ve been waiting for the DBs, since TDs didn’t suit me much (Their range at least, the PA’s are cool though) , although I haven’t seen that many looking forward for the Dual Blades, but rather the Jet Boots xD , still I believe it will last quite a bit. Just as a heads up, values for Knuckle PA changes are still missing on the weapon list. Thanks, eventually we’ll get to the rest of the missing information.